Homeowners rarely think about the potential landscape lighting dangers because things rarely go wrong. But when they do the results can be catastrophic. Here’s a story about a homeowner who narrowly avoided a disaster at his home. 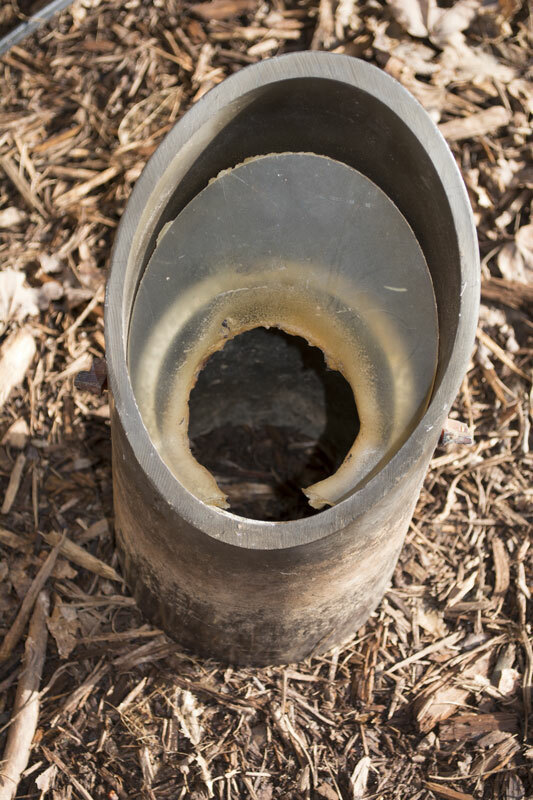 We received a call from a gentleman who said one of the fixture connections in his landscape system was smoking. 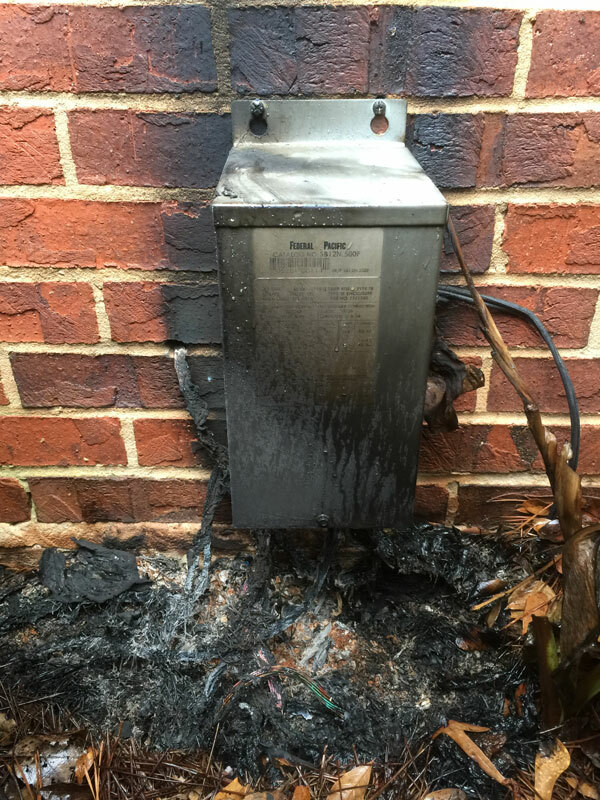 A poor connection caused this transformer to arc and create a fire. He said the neighbor’s lawn maintenance man alerted him to the smoke coming from the bushes. So he unplugged the system and called us. When we arrived we asked him to show us where the smoke was coming from. 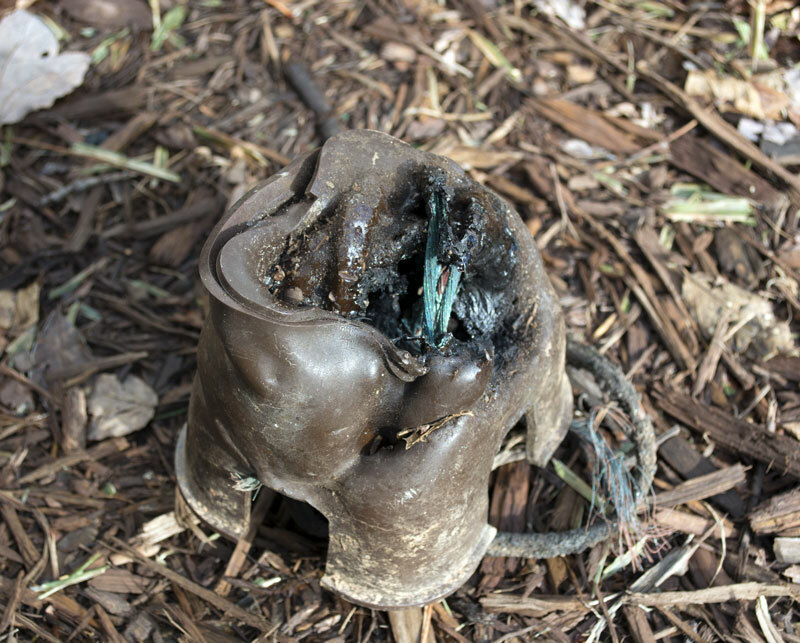 As it turns out the smoke wasn’t coming from the bushes and it wasn’t coming from a fixture connection, it was coming from a fire on the transformer and the mulch bed below it! As you can see from the photo there was a sizable fire. In our opinion if this house had been constructed of wood it certainly would have caught fire. This transformer was incorrectly installed and/or was not maintained. The reason this transformer burned is because the connection ‘arced’. Simply put, arcing occurs when you have too much load going through too little connection. The connection to the transformer is critical; all of the electricity to power the entire system goes though the wires that are connected to the transformer. If the wires are not tightly secured with all strands fully connected the power cannot be conducted efficiently. Landscape lighting wire is stranded. 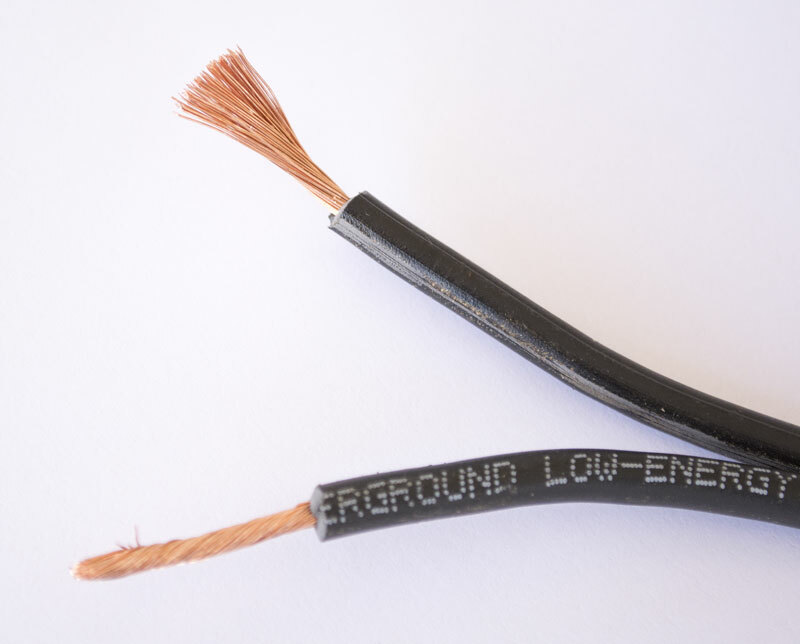 Avoid cutting strands when stripping wire to good safe connections. Poor connections will cause an overload on what little connectivity there is and generate heat. If the connection is bad enough, and if the load is high enough, a significant amount of heat will be generated. This heat may be enough to melt the wire insulation or ignite nearby flammable material. As a side note, looking at the burnt transformer photo you’ll notice that there is no line voltage receptacle adjacent to this transformer. So instead of installing an outdoor GFCI receptacle, the installer just fed the power cord through a hole in the wall. This is dangerous and an electrical code violation. This particular homeowner chose to have his lawn man maintain his lighting system. Unfortunately the lawn man’s lighting and electrical knowledge and skill set was limited. He probably had no idea he set this homeowner up for disaster. Arc dangers are not limited to transformer connections. Hubs can also carry a big load and if they have loose connections they can create fires. Arcing isn’t limited to transformers. Hubs can carry a big load so they must be checked to ensure tight connections. Fire danger isn’t limited to arcing. Incandescent bulb lenses can reach 500°F. One final note about safety; arcing isn’t the only cause of fires. The glass globes on incandescent bulbs can get extremely hot. If the fixture turns over and the bulb comes in contact with a flammable material a fire may result. The photo at right shows a Par 36 fixture lens that was knocked out of it’s retaining ring and dropped down onto the bulb. The heat was so extreme that it melted the lens even though it was designed to withstand the heat of the incandescent lamp. It is not difficult to keep your system from having problems like this homeowner. Most landscape lighting companies offer regular maintenance programs and part of their service should include checking and maintaining solid and tight connections on transformers and hubs. Abulous Lighting offers a maintenance program and you can find out more about it on our Maintenance Club Page. Click the image to the right for details. If you are more of a do-it-yourselfer you can read our post entitled How to Maintain Your Lighting System Like a Pro. Either way regular inspections should be performed to keep your system safe and operating at peek performance so it does the three things it was designed to do; provide beauty, safety and security. Want more information? We are offering a discount on our annual maintenance contract until the end of January. Call, text or email us today or fill out the form below. Our goal is to get you exactly what you need.